Adder has launched its AdderLink DV100 range of ...read more. For reliable and efficient DVI-D KVM (Keyboard, Video and Mouse) functions, the new ...read more. KVM communications have quickly become a primary target for hackers looking to break into isolated networks through computers of different ...read more. Kramer Electronics is pleased to announce the introduction of VP-470 ProScale 3G HD-SDI Digital Scaler. VP-470 is a digital scaler for ...read more. 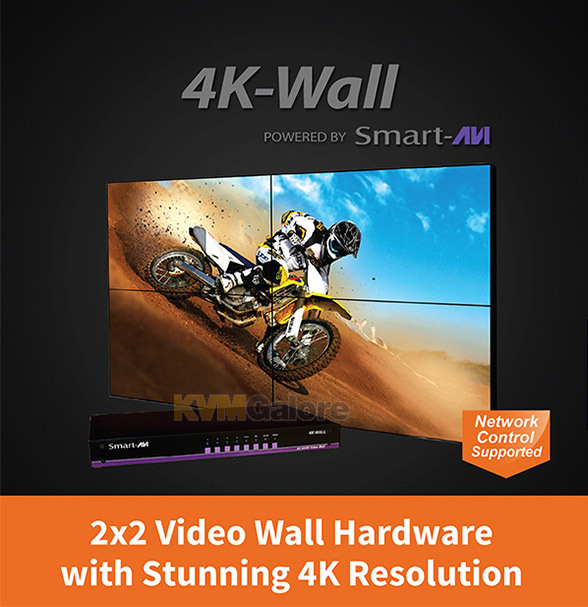 With support for four (4) inputs and four (4) outputs, new 4K-Wall 2x2 video wall controller and 4x4 video matrix is a customizable HDMI/DVI video wall solution ...read more.